Sleep can be challenging when you’re sharing the bed with a restless sleeper who moves around a lot, either consciously or subconsciously. If you move a lot while trying to fall asleep, you may be a restless sleeper. Do you know that you can lessen tossing and turning just by replacing your mattress? If you share your bed with a partner and your partner just can’t stop tossing and turning while you are trying to fall asleep, then this could be a major issue that needs to be resolved. While this may seem to be such a small issue to even discuss further, it is actually one of the main reasons for separation. 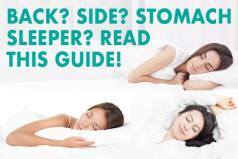 This could look petty at first, but being a restless sleeper is a serious issue that must be dealt with right away in order to prevent late night arguments, lack of sleep, and aggravating sleeping disorders that all can cause problems for both sleepers. 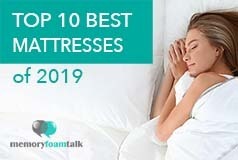 In this guide, we discuss how to choose the best mattress if you are a restless sleeper, and give our top recommendations. When you move or roll around a lot in bed, you transfer that motion on the person you share the bed with which then wakes them up and disrupts their sleep. This is dubbed as “motion transfer” and is one of the key criteria we evaluate when reviewing mattresses here at Memory Foam Talk. Although it is quite normal for someone to constantly change sleeping positions, this can be very bothersome for the person he or she is sharing the bed with and can disturb their sleep. Lying in a comfortable and cool bed will help you sleep better and reduce tossing and turning during the night. While some mattresses with “motion isolation” could be costly, they are definitely a worthy investment because you will get a better, continuous, and deep sleep that will allow your body to regenerate and rejuvenate. Ideally, if you want minimal to zero motion transfer, you should try memory foam mattresses because they tend to absorb movements and limit motion transfer so you won’t be disturbed even if your partner tosses and turns in bed. While mattresses with better motion isolation can be less responsive than their counterparts, you get the advantage of getting a good night’s sleep because they minimize motion transfer. Being able to personalize both sides of the bed is definitely a great advantage in any mattress, and especially for couples that have a problem with motion transfer resulting from a restless sleep. Mattress with customizable firmness options allow each sleeper to have their desired comfort level which helps minimize motion transfer between sleepers on the same mattress. Some mattresses go even beyond adjustable firmness options and allow you to adjust each side individually with the help of adjustable bases from a lying to a sitting or reading position, etc. Memory foam is regarded as the best material when it comes to motion isolation due to its natural conforming property. The material is also exceptionally good at relieving pressure points, relieving and preventing pain, and promoting proper spinal alignment. Latex is also an excellent choice because the natural component conforms to your movement and also distributes body weight evenly. Latex differs from memory foam in that it is very buoyant and responsive so you will feel like you’re sleeping on top of the mattress, rather than inside it. Latex also sleeps very cool. Hybrid coil mattresses with individually wrapped springs provide good motion isolation, optimal support and pressure relieving properties. These mattresses also sleep cool thanks to their pocketed coil structure that allows air to circulate freely. However, some are bouncier than others and can cause some motion transfer which can be an issue for couples sharing a bed. You could be sleeping on a very old and lumpy mattress which could be the cause of restless nights. 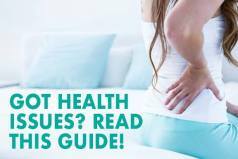 While you may think you are getting more by saving money on avoiding to purchase a new mattress, you are actually losing more because of the various health risks that an old bed could cause. Therefore, if your mattress is old and lumpy and does not provide you with the same level of comfort and support it used to provide before and if it causes you to toss and turn frequently during the night, then it may finally be time for you to get a new mattress. Here are some of our top recommendations. The Helix Midnight Luxe is an innovative mattress that has recently been released by Helix Sleep online mattress company that utilizes an online questionnaire to customize the design and construction of new beds and enable couples to have their own individual sides completely customized to their needs which is excellent for restless sleepers. The Novosbed mattress is an 11″ mattress made up of 3 layers of dense foam. It is offered in 3 firmness options and comes with a cover made of polyester, silica, modacrylic, and Tencel that has a very nice soft textured pattern that gives the mattress a great feel through the covers. It also has a zippered top which does not only give you the possibility to remove it for cleaning but which also enables you to add the Comfort + top kit. Comfort + top kit serves as an additional layer that can either increase or decrease the firmness level of the mattress. This layer combined with the foam layers beneath does a great job at providing both comfort necessary for side sleeping and enough firmness if you switch to your back or stomach. It is ideal for all sleeping positions and all types of sleepers, especially restless sleepers as it is made of thick layers of foam that totally isolate motion transfer between couples. 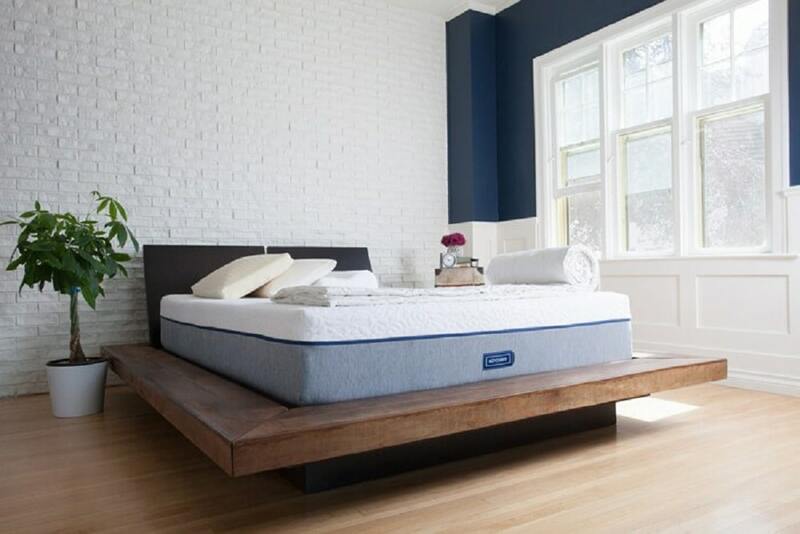 It is a 13″ hybrid mattress made of natural and organic materials such as the Dunlop latex coupled with premium coil springs specially designed to adjust to the unique curves of your body and suit all types of sleepers, particularly restless sleepers. The top comfort layer of the Awara utilizes all-natural and organic certified Dunlop latex foam and does a good job at providing cool and contouring sleeping surface while it also prevents you from sinking into the mattress too much. The mattress also prevents the build-up of heat and sleeps quite cool due to its breathable cover, Dunlop latex foam, and the pocketed coils used in its construction which also do a great job at isolating motion transfer when moving around and getting in and out of bed. Get the full Awara mattress review. The Loom and Leaf is another great mattress for restless sleepers. It has remarkable motion isolation that is excellent for couples, side-sleepers, and restless sleepers. The Loom & Leaf comes in two different firmness options capable of suiting all sleeper needs and preferences. The firmer model (an 8 out of 10 in terms of firmness, 10 being the highest) has much better motion isolation when compared to the softer one (a 5 out of 10). If you’re sleeping alone, the softer Relaxed Firm is adequate, but if you’re sleeping as a couple, especially those with huge weight difference, we highly recommend the Firm. One thing that we really love about the Loom & Leaf is the medical grade cooling layer which allows the mattress to sleep a lot cooler than many other competing memory foam mattresses. Say goodbye to waking up feeling hot and sweaty and to stickiness which is often a cause of restless sleep. Besides this, you can choose a split king configuration and get two Twin XL Loom and Leaf beds that you can use on an adjustable base like the Saatva Lineal adjustable base. This allows you and your partner to adjust each side separately according to your own sleep needs and preferences and eliminates any possibility of disturbing each other during the night when moving around in bed. If you are a restless sleeper and want a comfortable yet supportive sleeping solution that will withstand your tossing and turning and isolate motion transfer between you and your partner than the all foam Nectar may be a great choice for you. The Nectar is made up of 4 layers of foam and with a Tencel top cover that keeps your sleeping area breathable, cool, and bug-resistant. It uses semi-open LUSH foam that gives that extra softness, loft, and breathability and does a great job in heat absorption and redistribution and preventing excessive motion transfer. It has that perfect firmness which provides the right contour and support for side sleepers as well as back and stomach sleepers. This combined with their 365 night sleep trial, forever warranty, and low price given the high quality materials, makes Nectar one of our top picks in this category. Get the full Nectar review.